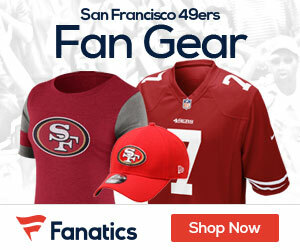 The 2017 San Francisco 49ers are getting set for their 2017 debut on Sunday with a new head coach, and maybe a little bit of luck if you look at the Carolina Panthers, their opponent, and their injury report released today surrounding their star starting quarterback. 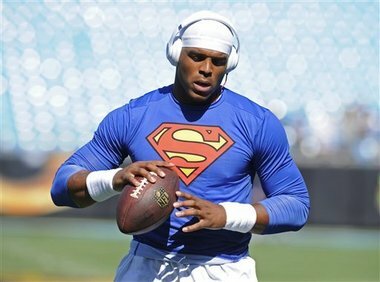 The Panthers are listing quarterback Cam Newton as questionable for the game on Sunday, a HUGE plus if you think the Niners are going to be able to get the job done this weekend. The 49ers are five-point underdogs to beat the Panthers, and if you like them in this game, right now you should get to Skybet, and get a skybet sign up bonus to play the odds on the Niners this Sunday. Back to Newton, without him you likely will see veteran quarterback Derek Anderson, a player that the Niners know very well. It will be up to their defense to prepare for a different looking quarterback in Anderson, who doesn’t have the deep ball like Newton, nor the ability to take off with his legs like Newton can. Newton had shoulder surgery in late March and began throwing three months later, giving the Panthers hope he would be good to go for the start of the season, but that doesn’t look to be the case. The Panthers QB missed most of the preseason, he did return for Carolina’s third game against the Jaguars, going 2-of-2 for a touchdown. Earlier this week, Panthers head coach Ron Rivera sounded optimistic about Newton and did not give any inclination that the 2015 MVP would miss a start. On Monday, he told the team’s official site. San Francisco on Sunday will likely mix up their looks against Anderson if that’s who is going to end up under center. They will also have to get a good push up front and try to collapse the pocket against the veteran QB. If they can do that, it will force Anderson into throwing earlier than he wants, which isn’t something he likes to do. The 49ers front line will have their work cut out for them, but it’s clearly an easier mission trying to bring down Anderson than Newton, who is never easy to get a hold of for very long. Without Newton, it’s a perfect time for the Niners with their new coach and new attitude to pull off an opening day upset. Be the first to comment on "Niners Could Catch an Opening Day Break If Newton Can’t Go for the Panthers"